Dr. Kirton is an attending Pediatric Neurologist at the Alberta Children’s Hospital and Associate Professor of Pediatrics and Clinical Neurosciences at the University of Calgary. 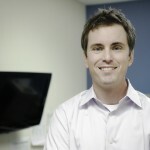 His research focuses on perinatal stroke with two major aims. One is to understand why such strokes occur and develop means to prevent them. The other uses advanced technologies to measure the response of the developing brain to such injuries to generate new therapies. Dr. Kirton founded and directs the Calgary Pediatric Stroke Program, Alberta Perinatal Stroke Project, and ACH Pediatric Non-Invasive Brain Stimulation Laboratory. He is a Heart and Stroke Foundation of Canada clinician scientist. Stroke is brain damage that occurs secondary to the blockage or breakage of blood vessels in the brain. The causes of stroke in children are many and often not well understood. Diagnosis requires careful clinical examination combined with brain imaging. Early treatment focuses on protecting the brain and keeping blood vessels open to prevent more strokes. Most children experience neurologic deficits with long-term treatments focused on physical, developmental, and psychosocial complications. 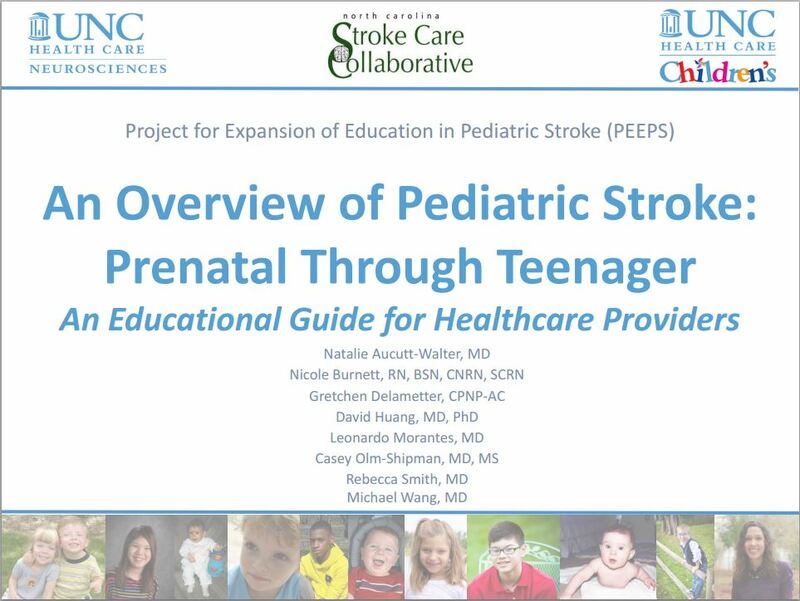 The study of pediatric stroke has been growing rapidly, from understanding the main causes to supporting children and families. Strokes in children are of three primary types. Two are ischemic strokes in which blockage of blood vessels results in lack of blood flow and damage. When an artery is blocked, the term arterial ischemic stroke (AIS) is used. When a vein is blocked, the term used is cerebral sinovenous thrombosis (CSVT). In the third form, hemorrhagic stroke (HS), the blood vessel breaks instead of being blocked. Each of the three childhood stroke types are described further below. After reaching the middle of the brain, these arteries connect with each other in a circle (Circle of Willis). From here, most of the major brain arteries arise and spread out like branches of a tree to supply the brain. The largest and most common site for childhood stroke is the middle cerebral artery. AIS involves the blockage of one or more of these arteries, usually by a blood clot. Within minutes of blockage, the brain tissue supplied by the artery becomes damaged due to lack of oxygen and sugar. AIS is the most common type of childhood stroke. Veins carry blood from the body back to the heart. In the brain, veins first drain into larger passages called the venous sinuses. Superficial and deep venous systems merge to drain blood from the brain. In CSVT, abnormal blood clots form in the veins or sinuses to block this drainage. Impaired drainage of blood from a brain region decreases the supply of blood to that area, resulting in ischemic stroke. Due to the “back pressure” that occurs in such strokes, they often bleed. CSVT is less common than AIS in children, accounting for about 1 in 4 ischemic strokes. Bleeding in the brain and skull is described by location within certain compartments or spaces. In children, the most common is intracerebral hemorrhage where blood spills directly into brain tissue. Other hemorrhages can occur in spaces beside the brain such as the ventricles (intraventricular hemorrhage) or the fluid-filled space the brain rests in (subarachnoid hemorrhage). Bleeding further outside the brain such as subdural or epidural hemorrhage is usually due to trauma. Hemorrhagic strokes occur with similar frequency to AIS in children. Many of the clinical signs and symptoms, diagnostic tests, treatments, and outcomes are similar across these three diseases. Each are therefore summarized collectively in the sections below. However, important differences also exist and are described. Several conditions similar to stroke are not discussed here. The period before and around birth carries a particularly high risk for stroke. Such perinatal stroke differs in many regards from stroke in older infants and children; and is therefore not reviewed here. When such injuries around birth result in physical motor disabilities, the term cerebral palsy is appropriate. In contrast, motor disabilities acquired later in childhood stroke would not use this term even though the problems can appear very similar. A lack of blood supply to the entire brain, rather than due to the blockage of a single blood vessel as in stroke, also occurs regularly in children but is not considered “stroke”. Examples include global hypoxic-ischemic encephalopathy (HIE) or watershed infarction. Most strokes in children present with the SUDDEN ONSET of neurologic problems. Weakness of one side of the body (hemiparesis) – This is the most common presentation and may affect any combination of the face, arm, and leg. Seizures – Most seizures in children are due to something else, but seizures often occur in children at the beginning of a stroke. Sleepiness, decreased level of consciousness – This is more common in hemorrhagic strokes and a worrisome, life-threatening sign. Signs and symptoms can also occur briefly and resolve. This happening is called a transient ischemic attack (TIA). Such symptoms should be taken seriously as they may be a warning sign of a possible larger stroke. Failure to recognize the signs and symptoms of stroke in children often contributes to delays in diagnosis. CT (computer assisted tomography or “CAT”) scans are often the initial test. CT imaging of the brain is widely available. Studies can be done within minutes, avoiding the need for sedation or anesthesia. They can demonstrate ischemic strokes, but may miss them if done very early or if strokes are small. CT scans are good at detecting hemorrhagic strokes. Addition of intravenous contrast can also accurately assess brain blood vessels. Pictures of the arteries called CT angiograms (CTA) can detect blockages and specific causes. Pictures of the veins and sinuses called CT venograms (CTV) are good at detecting cerebral sinovenous thrombosis. CT scans include a low risk dose of radiation. MRI is required in most children with stroke. For acute diagnosis, MRI is the most sensitive test. Diffusion weighted images (DWI) can detect very small and very early ischemic strokes. Other MRI pictures are very sensitive to blood and hemorrhage. MRI can image the arteries; the result is called an MR angiogram (MRA). When MRI is used to image the veins it is called an MRV; both types help diagnose AIS and CSVT. There is no radiation associated with MRI but longer scan times require sedation for preschool children. Figure. Neuroimaging studies in pediatric stroke. (A) CT head shows arterial strokes as dark areas within an arterial territory. (B) Diffusion MRI shows arterial strokes very clearly and early, (C) MR angiograms (MRA) can image the major cerebral arteries and show problems like an occluded branch (arrow). (D) CT venograms (CTV) show filling defects in the venous sinuses (arrows) to diagnose CSVT. (E) CT head is very good at demonstrating hemorrhagic strokes and the immediate life-threatening complications of increased pressure. Conventional angiography (CA) is another diagnostic imaging test required in some children. CA involves insertion of a small tube (catheter) into an artery in the groin which is passed upwards toward the major brain blood vessels. A dye is injected to then create detailed pictures of the brain arteries. CA is only required in certain circumstances, usually to help determine specific causes for arterial ischemic or hemorrhagic strokes. The causes of strokes in children are not well understood. 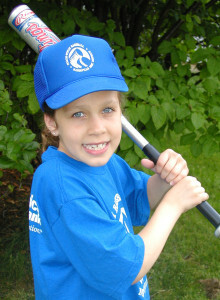 However, it is unlikely that a child, parent, or anyone could have done something to directly cause a child’s stroke. Genetic problems are responsible for a relative minority of known causes. A risk factor implies an association with stroke, but not necessarily the cause. 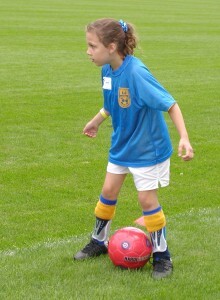 Many children possess multiple risk factors which may have to combine in order for stroke to occur. A significant number of children will have no risk factors identified despite extensive investigation and are termed idiopathic. Most possible causes are distinct to each type of childhood stroke (AIS, CSVT, HS) so they are listed separately below. Focal or transient cerebral arteriopathy (FCA/TCA). This is a common cause of AIS in children, but the exact mechanism is not well understood. It features the acute onset of irregular narrowing of the larger cerebral arteries (internal carotid, middle, and anterior cerebral) in previously healthy children. This arteriopathy tends to progress over days and weeks with a high risk of recurrence. No progression (and often improvement) over months is seen. It is unclear what the mechanism of this arteriopathy is. Possibilities of inflammation, infection, and dissection have all been suggested. Vasculitis. Inflammation of the blood vessels is called vasculitis. It has been suggested that FCA/TCA described above may be a form of vasculitis isolated to the brain. Such large vessel or angiography positive childhood primary angiitis of the CNS (cPACNS) is named for the features described above. A different, small vessel cPACNS may also occur. Infection. Certain infections can directly cause arteriopathies and lead to arterial stroke. Examples include bacterial meningitis and HIV. Late effects of infection may also play a role such as post-varicella angiopathy – a condition similar to FCA/TCA arteriopathy described above, but occurring within a year of varicella infection (chicken pox). A recent history of more common infections may also be associated with childhood stroke. An arterial dissection is a compromise in structure that allows blood between the normal layers of the arterial wall. Narrowing and clot formation may lead to stroke. Some are associated with clear trauma but many are not. The progressive blockage of both distal internal carotid arteries defines moyamoya disease. This pattern can be seen with an increasing number of genetic mutations specific to moyamoya or as a syndrome in other conditions like neurofibromatosis-1 and Down syndrome. Strokes can occur by compromised blood flow or clot formation and hemorrhagic strokes also occur. rare genetic disorders where the arteries form abnormally (e.g. Alagille syndrome, ACTA-2, MOPD-2, and others). Complex congenital heart disease – there are many malformations of the heart. These typically present at birth and require surgery. Abnormalities in heart structure, blood flow, and surgical procedures all increase the risk of stroke. Other cardiac risks for stroke include low heart pumping function, abnormal rhythms (arrhythmia), valve diseases, and infections (endocarditis). Treatments for severe cardiac failure, such as extracorporeal membrane oxygenation (ECMO) and ventricular assist devices, carry a high risk of stroke. Blood clotting disorders – also known as thrombophilias or prothrombotic disorders – increase the risk of childhood stroke. Examples may be genetic (such as Factor V Leiden or prothrombin gene mutations) or not (such as antiphospholipid antibodies or protein C deficiency). Sickle-cell disease. This genetic disorder of hemoglobin formation is most common in African populations. Children with sickle cell disease carry a very high risk of stroke (increased about 400 times) and require careful screening tests. Some require regular blood transfusions to reduce stroke risk. Iron deficiency anemia. This is a common condition of young children that only rarely is associated with childhood AIS. Since it is easy to diagnose and treat and may increase stroke risk from other conditions, recognition is important. Several infections carry a high risk of CSVT including bacterial meningitis. Malignant middle ear infections and mastoiditis may lead to thrombophlebitis of neighboring sigmoid sinuses and CSVT. Gastroenteritis with vomiting and diarrhea is the most common cause, but any dehydration may increase the risk of abnormal blood clotting including CSVT. Blood clotting disorders. The thrombophilias or prothrombotic disorders mentioned increase the risk of CSVT and include both genetic and acquired conditions. Systemic diseases. Inflammatory bowel diseases such as Crohn’s or ulcerative colitis are associated with CSVT where systemic inflammation may combine with diarrhea-induced dehydration. Nephrotic syndrome may deplete important anti-thrombotic proteins to increase CSVT risk. Many different malignancies have been associated with CSVT and certain treatments further increase risk such as L-aspariginase chemotherapy. Injury to the venous sinuses from blunt force, penetrating wounds, or surgical procedures can all lead to CSVT. Additional factors associated with childhood CSVT include medications that promote clotting (e.g. oral contraceptives), pregnancy, and iron deficiency. Arteriovenous malformations (AVM) are abnormal tangles of arteries and veins and the leading cause of hemorrhagic stroke in children. Typically present from birth, some are associated with known genetic conditions. Cavernous malformations (CM) are another form of vascular malformation involving smaller brain blood vessels. Bleeds tend to be smaller and are rarely life threatening. Aneurysms are focal outpouchings of cerebral arteries. They are a leading cause of hemorrhage in adults, but are uncommon in children. They typically cause bleeding in the space around the brain (subarachnoid hemorrhage) and may relate to differences in blood vessel structure present from birth. Aneurysms can also be acquired such as infective (mycotic) aneurysms seen in infective endocarditis. A pseudoaneurysm is an outpunching of only some layers of the artery wall and may occur after a dissection. accidental medication ingestions or overdoses (e.g. blood thinners). Neuroimaging confirms the diagnosis of stroke in children and can often identify the primary cause. Examples include arterial dissections or moyamoya disease causing AIS or AVM’s responsible for hemorrhagic stroke. In such cases, few additional investigations may be required. However, the cause of stroke in most children is not immediately evident from imaging and a more thorough evaluation is usually required. Even when a particular cause is suspected or one risk factor is identified, completion of other investigations is often needed as many children will have multiple risk factors. Echocardiography (ECHO, an ultrasound picture of the heart) and electrocardiogram (ECG, a tracing of the heart rhythm) are often required early to exclude cardiac causes of AIS. Blood clotting tests. Quick tests such as platelet counts, PTT, and INR are performed to exclude a tendency for bleeding in hemorrhagic stroke. Tests of excessive clotting for ischemic strokes may also be performed. Blood cell counts (CBC) help exclude conditions like infections, anemia, and platelet abnormalities. Additional blood tests often include screening for systemic conditions such as liver enzymes and function, renal function, electrolytes, and others. Lumbar puncture (“spinal tap”) removes a small sample of cerebrospinal fluid from the lower back using a needle. The fluid is studied for signs of infection or inflammation, but findings are often of limited value in childhood stroke. Markers of inflammation or vasculitis. Several tests provide non-specific screening for inflammation such as the ESR and CRP. Additional tests for systemic inflammatory disorders or vasculitis may also be performed. These tests seldom provide evidence for a specific cause of childhood stroke. Electroencephalogram (EEG) will not diagnose stroke but may be useful in evaluating seizure complications following stroke. Brain biopsy. This procedure is rarely required and is typically used to confirm rare forms of small vessel vasculitis when all other tests have been inconclusive and the child’s condition is serious. Early treatment of all childhood strokes rests on basic principles of protecting freshly injured brain and optimizing the survival of neighboring brain tissue. Treatment approaches are supported by evidence from adult stroke adapted to the different causes and issues encountered in children. Multiple consensus-based guidelines are published to guide the management of children with stroke (see recommended reading). Anti-coagulants used acutely are usually unfractioned or low-molecular weight heparins (UFH, LMWH). The main complication is bleeding but the risk is low. Dosing levels are determined by regular blood tests. For acute CSVT, anticoagulation with heparins is recommended in most circumstances. Evidence suggests that many children will extend their CSVT if not treated. Repeat imaging within 5-7 days is essential if therapy is withheld. Anticoagulation for CSVT is typically continued for 3 months before imaging is repeated. It is continued to 6 months if the sinuses are not fully recanalized. Hemorrhagic stroke is a neurological emergency. Rapid expansion of a hematoma causes herniation – forceful pushing of brain tissue through tight spaces in the skull. Resulting pressure on critical brain structures is immediately life threatening and a common cause of death. Children with suspected hemorrhagic stroke require emergency stabilization, imaging, and neurosurgical consultation. Outcomes from childhood stroke vary. Many factors determine outcome, only some of which are understood. Accurate early prognostication of outcome is therefore challenging. However, several factors appear to be important including type, size, and location of stroke. Deficits are typically worst at onset and virtually all children will improve over time. However, in the developing brains of young children, some problems only become evident over time, such as remote seizures or learning problems, encountered in later school years. Hemiparesis. Permanent weakness on one side is a leading complication. Arm and hand involvement is most common and affects many activities of daily living with significant consequences on quality of life. Lower extremity involvement affects walking and participation in normal childhood activities. Management requires assessment and intervention from pediatric occupational and physical therapists. Emerging therapy interventions may include constraint-induced movement therapy. Attention to related complications of spasticity and orthopedic complications (contractures, scoliosis) by experts in physical medicine and rehabilitation is essential. Epilepsy. Recurrent seizures after childhood stroke may occur, often many years later. Most are infrequent and can be managed with anticonvulsant medications but more complicated epilepsy may occur. Seizures can have a major impact on a young person’s daily life and mental health. A comprehensive approach based on pediatric epilepsy best practices is needed. Speech and language disorders. Although these affect a minority of childhood stroke survivors, consequences on daily function, academic success, and social well-being can be substantial. Disorders may include difficulty with speech clarity (dysarthria) and the production or understanding of language (dysphasia). Formal assessment and therapy from a pediatric speech-language pathologist is required. Movement disorders. Hemidystonia may also occur after childhood stroke, particularly those affecting the basal ganglia. Treatment can be challenging as medications may be of limited effectiveness. Regional botulinum toxin may be effective. Cognitive/Behavioral impairments. Childhood stroke may have wide-ranging effects on higher brain functions, including learning and cognition. Variable complications have been described. Attention deficit hyperactivity disorder may be particularly common with basal ganglia strokes in children and is potentially treatable with medical and behavioral interventions. Disorders of higher brain systems, including memory and executive function, require formal testing. Examination by a pediatric neuropsychologist, followed by integrated communication with teachers, education experts, parents and the child, is required to optimize outcomes. Psychologic complications. Effects on mental health are not well studied in childhood stroke but are likely common. Depression in children may be more difficult to treat and carries both a high suicide rate and implications for adult mental health. Screening for depression, anxiety and other mental health complications should be included in the chronic care of children with stroke. The frequency of headaches appears to be more common in children with stroke. Many are probably primary headache disorders and can be managed as such. However, new or changing headaches should raise concern in certain conditions such as moyamoya disease, vasculitis, or CSVT. Parents and families. Effects on parents and families are not well studied but likely substantial. Misplaced maternal guilt and misplaced blame of others should be identified and addressed. Family-centered care models and peer-support groups may offer specific benefits to caring for children with stroke. Emerging, parent-driven global networks provide an invaluable resource (see references). Childhood stroke carries a significant recurrence risk. Risk of recurrent AIS in children with arteriopathy may exceed 50%. However, most of the risk is incurred early in the disease course. Other chronic disorders, like congenital heart disease and moyamoya, may carry longer-term risk. CSVT recurrence rates are much lower and typically associated with chronic conditions such as inflammatory bowel disease or thrombophilia. Hemorrhagic stroke recurrence is also very etiology-dependent, varying from 2-4% per year for lesions like AVMs to zero for corrected bleeding disorders. Anti-thrombotic therapy with ASA is continued in most children with AIS, especially those with persistent arteriopathy. Certain high-risk conditions may require long-term anticoagulation therapy, often with warfarin (Coumadin). Cardiac conditions are the leading example and new guidelines for antithrombotic stroke prevention therapy in pediatric cardiac disease are now available. Children with high-risk chronic cerebrovascular conditions require regular follow-up and repeat serial neuroimaging (examples include CNS vasculitis, sickle cell disease, moyamoya disease, and others). screening for diabetes, hypertension, and dyslipidemia. Moyamoya disease may require revascularization surgery to provide alternative pathways for cerebral circulation. The same patients should be counseled to avoid dehydration (e.g. during gastroenteritis) that might drop cerebral perfusion pressure and result in stroke. Children with sickle cell disease require annual screening, including transcranial Doppler ultrasound beginning at 3 years or MRI displays evidence of large vessel disease or stroke. Transfusion therapy (if velocities are high) may be necessary. Cell based therapies may be a potential cure. Stroke associated with chronic inflammatory conditions may require longer-term immunomodulation therapies under the guidance of a rheumatologist to minimize stroke recurrence. Abnormal tangles of arteries and veins and the leading cause of hemorrhagic stroke in children. Motor or movement impairments secondary to a neurological disorder present or acquired near birth. Abnormal blood clots (thrombosis) in the veins within and surrounding the brain. May result in impaired blood flow and ischemic stroke. An imaging study where contrast (dye) is injected through a special intravenous catheter to obtain very detailed pictures of brain blood vessels. Also called digital subtraction angiography. Speech difficulty. May be trouble making speech (expressive dysphasia) or understanding speech (receptive dysphasia). A common cause of arterial strokes in children where large cerebral arteries on one side become narrowed and irregular. Breakage of a blood vessel leading to blood in the brain (categorized by spaces in and around the brain occupied by the blood). Brain injury secondary to a complete lack of blood supply to the entire brain. Different from ischemic stroke where lack of blood supply only occurs within territories of specific arteries or veins. Rupture of a blood vessel (hemorrhagic stroke) spilling blood directly into brain tissue. Rupture of a blood vessel (hemorrhagic stroke) spilling blood directly into the ventricles which are normal fluid filled spaces within the brain. A brain imaging study used to diagnose stroke. An imaging study of the arteries in the neck and brain used to understand stroke. An imaging study of the veins and venous sinuses in the neck and brain used to understand ischemic stroke (CSVT). An abnormal tendency for the blood to clot. May occur related to genetic or acquired factors. Also called prothrombotic conditions. “Your baby has a brain abnormality.” Those were the chilling words we received from our doctor when I was 29 weeks pregnant with our third child, Michelle. She was diagnosed with probable hydrocephalus at that time, and when Michelle was born that diagnosis was confirmed. Three days after birth, the neurosurgeon placed a shunt in her brain and came to tell us the “good” news. The hydrocephalus was caused by “an event”—there was evidence of an old hemorrhage on the left side of her brain. Our daughter had suffered a stroke before she was born. Michelle was one of the lucky perinatal stroke survivors. Since we knew she had suffered a stroke, our team of doctors was ready to pick up on any developmental delays she may have. At 3 months old she was diagnosed with right hemiplegia and was able to start occupational and physical therapy at just 6 months old. For many children, the diagnosis of a perinatal stroke may come many months later because the signs can be subtle. Missing milestones or consistently using only one hand before 1 year of age are important signs that can often be missed by families and doctors. The one thing Michelle has in common with other perinatal stroke children is the cause of her stroke remains a mystery. Weekly occupational and physical therapy became a new way of life for Michelle. Orthotics, Botox, and surgery for tendons were all treatments to try to help her reach her full potential. Fast forward to today and she is a healthy, well-adjusted 17 year-old starting her senior year of high school in the fall. 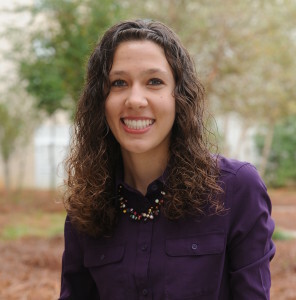 Here is her perspective on what it is like to live life as a stroke survivor. Because of my stroke, I will never have full use of my right arm/hand and my right leg/foot. I had to wear an ankle foot orthotic (AFO/plastic leg brace) on my right leg for many years. I remember lots of people asking me what that plastic thing on my leg was. When I was really young, my mom would explain it to people, “It is just something that helps her walk better, like glasses help you see better.” Everyone that knew me just got used to it being a part of who I was. Then I moved to Georgia from Illinois the summer before 5th grade. I chose not to tell anyone that I had had a stroke and why I wore an AFO. That was a big mistake. My classmates imagined all sorts of things about what I had on my leg. The kids bombarded me with questions and stares. I usually answered the questions with the robotic response, “It helps me walk better.” Sometimes I would see confusion on their faces and I’d go into more detail. On bad days, I told people I broke my leg to save myself having to answer more questions. My advice to parents and kids that are old enough to answer questions for themselves is to be up front and honest right from the beginning. I found that when people were left to come up with their own answers, they imagined all sorts of strange things. I sometimes avoided telling people that I suffered a stroke because I was worried that people would treat me differently and give me too much pity. While that may have been true at first, it only took a little time to show people I am just like everyone else. I realized that those few people who still would not be my true friend after they got to know me were not worth it. I wasn’t going to surround myself with people who made me feel bad. I had trouble accepting it at first, but then I realized that not everyone will want to be my friend and it’s time to find people who will accept me for who I am. 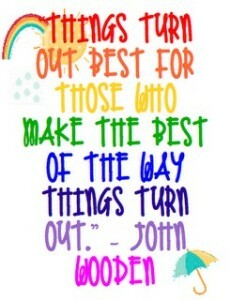 Despite some rough times, I have tried to make the most of what I am able to do. I remember taking ballet classes and not worrying that I wouldn’t look the same as the other kids in some positions. Next I tried softball and my dad came up with the idea of putting a wire through my mitt to help it stay in a catch position since my right hand wasn’t strong enough to keep it open. After softball came soccer. It was a blast and the kids on the team didn’t see me as having a disability even though I ran slower and couldn’t control the ball with my right foot very well. 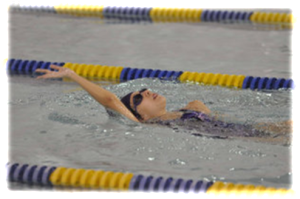 My favorite sport of all is swimming! It was hard to find a swim program for kids with disabilities or a non-competitive swim team here in Charlotte, NC, but I finally found a perfect local swim program for me. In elementary school, I enjoyed Girl Scouts, and having my mom as the troop leader made it easier for me to fit in. For band in 4th grade, I found the baritone, which is an instrument I can play with my left hand (if it is the kind with the keys on top)! 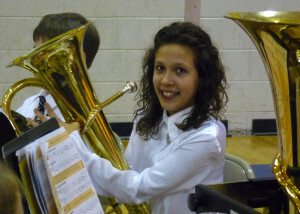 As a rising senior, I am still in band and even though marching band is a lot of work, it is also a lot of fun! As my 16th birthday approached, I was determined to do whatever it would take to be able to drive safely. I found it easier and safer to drive with a steering knob, although I only need to use it on turns because that’s when my right hand tends to fist up and not help turn the wheel. Luckily, I have enough strength and flexibility in my right foot so I don’t need any foot pedal accommodations. Although it did take more time for my right foot to get used to the gas pedal since it is weaker and wasn’t used to having to use such controlled motions. I’m happy to say I got my license and it is such a good feeling to be so independent! Through my mom’s advocacy work, I have had many opportunities to share information about my stroke. I have given speeches at hospitals, schools, a congressional briefing, and American Heart Association events. I’ve had a few newspapers and magazines do stories about my life, but the most fun I’ve had was being a guest DJ on the radio! I am thankful for the wonderful people I’ve met and the experiences I’ve had. I love the feeling of being able to inspire others and give them hope! I want to be able to continue this for many more years. My biggest piece of advice to parents of stroke survivors is not to hold your children back! Let them explore many things and motivate them to keep trying. The difficult part is realizing when you are pushing your child too far. Sometimes I felt that my parents were making me do things that I really wasn’t ready to do. I do regret still being afraid to ice skate, ride a horse, and ride a bike. I don’t know if it would have been easier if I had started younger, but I suggest trying to get your child to try new things as early as possible. Also, start stretching your child at an early age so it seems routine before they get old enough to protest. I find it really difficult to do stretching every day because I never got into the routine. I sometimes loved going to OT and PT, but other times I just wanted to be a regular kid and go outside to play. My favorite “therapy” has been yoga and swimming because it was fun exercise and it didn’t seem like “work”. If your child is resistant to doing stretches at home or going to OT and PT all the time, I suggest searching for something like a yoga, karate, or swim class that will make accommodations for your child when needed. I don’t let my stroke hold me back; I only let it push me forward. If I want to do something, I will find a way to get it done. I can do most things that other typical kids can do, but I just have my own unique way of doing it. I don’t want to hide from my stroke. I want to embrace it as the positive thing that made me who I am today. I believe in accepting what happened and making my life better because of it! 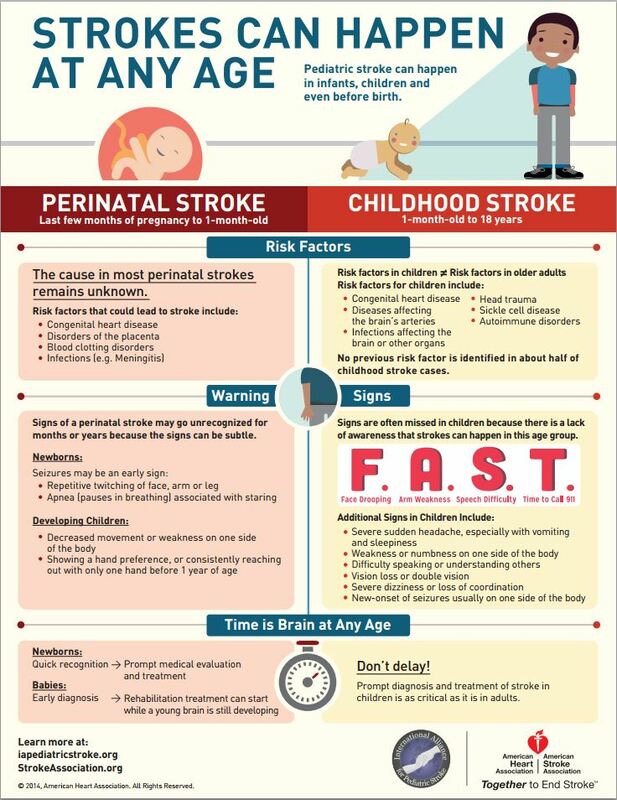 This infographic was co-produced by the International Alliance for Pediatric Stroke and the American Heart Association/American Stroke Association to outline the risk factors and important signs and symptoms of pediatric stroke. It is also available in Spanish and Portuguese. This guide was published through Canadian Stroke Best Practices/Heart and Stroke Foundation of Canada. It is designed to provide basic information about stroke and stroke care to families of children who have had a stroke. It is an educational resource based on the Canadian Stroke Best Practice Recommendations for Stroke Care (2010), current research and expert opinion. Research about stroke in children and babies is still developing; much of the information in this guide comes from stroke experts and from families who have experienced childhood stroke and are sharing their stories. The PDF is accessible online, however, hard copies are available at no charge for individuals, physicians and hospitals. The information is applicable to pediatric stroke anywhere in the world. Please contact Dr. Patrice Lindsay at plindsay@hsf.ca or 647-528-4361 for more information or to obtain copies. This pediatric stroke fact sheet was published by the American Heart Association/American Stroke Association in 2009. It was vetted by the AHA/ASA’s scientific advisory board and is the most up-to-date, comprehensive, accurate information available for pediatric stroke. 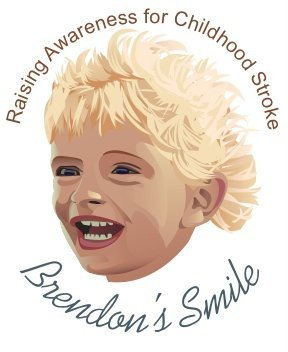 The Brendon’s Smile Foundation has partnered with the Washington University School of Medicine, Department of Pediatric Neurology in St. Louis, Missouri to educate doctors and medical professionals through the Annual Brendon’s Smile Foundation Lectureship Series on Pediatric Stroke, presented by leading experts in the field of pediatric stroke. While these lectures are intended for healthcare professionals, the information discussed is of great value to anyone interested in learning more about pediatric stroke. In early 2014, one of the lectures was made available for Continuing Medical Education Credits. The 2013 lecture by Dr. Adam Kirton titled, “Perinatal Stroke: Black Boxes and Brighter Directions” can be accessed for CME credit by registering at the Washington University School of Medicine CME-online site. Once on the website click on “Course Catalog”, then to “CME Credit Courses”, and then to “Pediatrics” to access the lecture.